Why is it such a “struggle,” for most men, to have an actual skincare routine? I’d love to be able to shower Mark with new, fun skincare or “beauty” products every month, but the sad truth is that I know that most of them will end up sitting on the bathroom sink, and he probably won’t even bother to open them. I’m not sure how much gendering of beauty products is to blame here. There’s this thing about marketing products for men which leads them to believe that if it doesn’t come in a dark, manly packaging and isn’t loaded with a “manly man” sandalwood-ish fragrance, it’s no use. When we started dating, his “beauty” routine consisted of an aftershave a 2-in-1 shampoo and Dove soap. After years of my nagging, I got him to actually use a moisturizer at night and a sunscreen lotion during the day. On occasion, he’ll also reach for an exfoliating cleanser, so I guess I shouldn’t complain too much. When it comes to a moisturizer, his choice is very similar to mine- while I love Cetaphil in a tub, his favorite is CeraVe in a tub. It’s simple, fragrance-free, and it gets the job done- especially in winter when his skin gets dry. Out of all the products I’ve had him try, other than the CeraVe cream, he loves Perricone MD’s Cold Plasma + Face and Clinique’s Dramatically Different Jelly, the most. In his own words, the Cold Plasma Cream + feels “fancy” on his skin, and Clinique’s Dramatically Different Jelly is “nice and not greasy.” I mean, I should really consider having him help me write beauty product reviews. The only “girly” product that he reaches for, is Missha Safe Block Sun Milk, as it’s one of the very few sunscreen lotions that doesn’t irritate his skin. “Girly” because it comes in a light-pink packaging (sigh) but the fact that it’s gentle and doesn’t burn his sensitive skin (which a lot of sunscreen products tend to do) makes up for that. 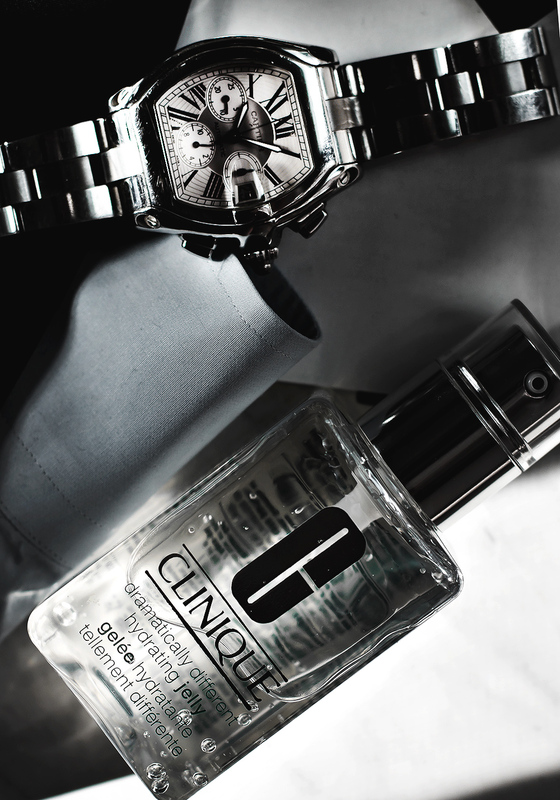 While his approach to skincare is quite shy and hesitant, his cologne collection is quite extensive. The minute we walk into any department store, the cologne section is the first place we visit and he can literally spend 30 minutes sampling, deciding, and then sampling some more. It’s just like buying socks- Mark can spend 20 minutes deciding between which socks to buy. Me? When I go shopping, I go in, I get what I need and I’m out. Not him. 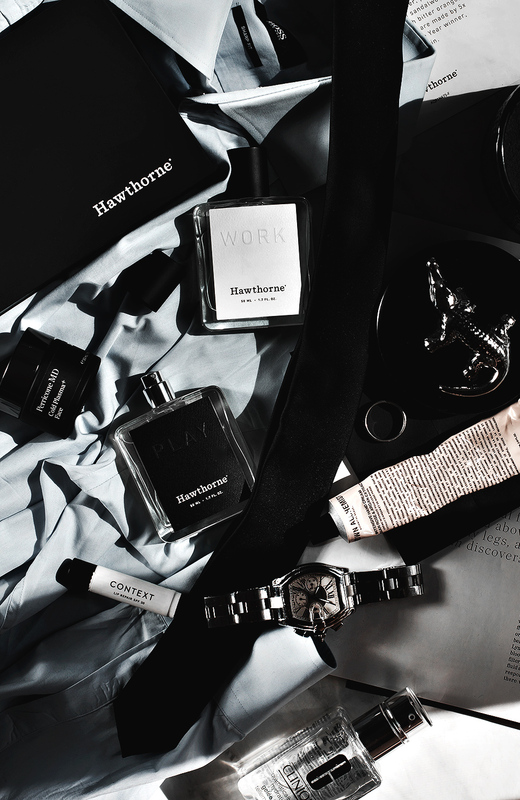 Few months ago, I had him try Hawthorne*– a custom fragrance set based on scent-tailoring algorithm that takes things like diet, fashion and personality into consideration. The set comes with two fragrances: one for “work” and one for “play.” To create a custom-tailored set you take a short quiz where you answer a few questions about your lifestyle. The quiz also takes your other favorite colognes into consideration, which I thought was pretty cool. 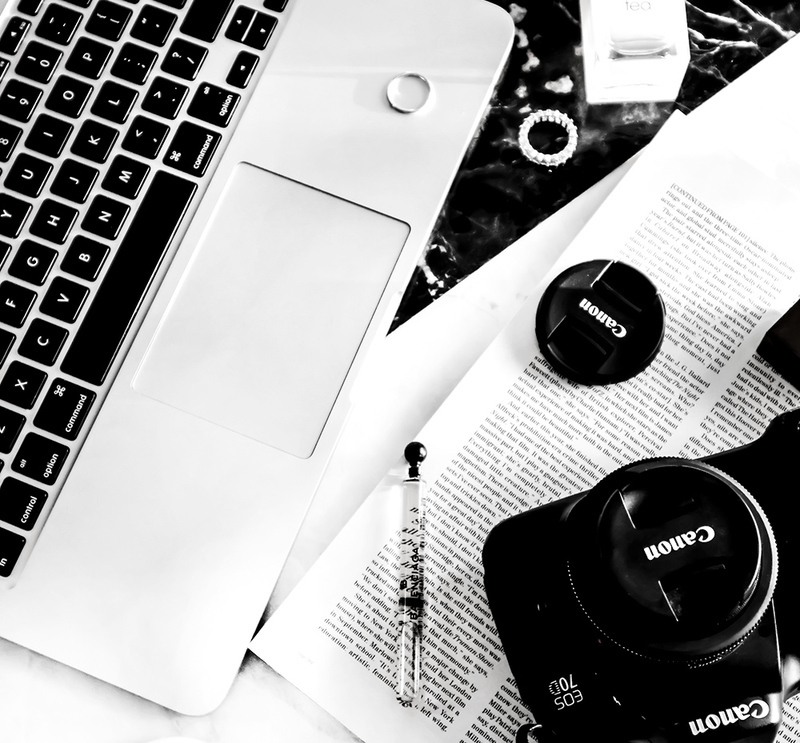 There are about 5 combination for each “play” and “work,” so there aren’t countless options where a fragrance is created just for you, but the idea of having a customized combination of both is really fun. While he’d never go through my skincare collection to find a product he likes, I love going through my husband’s cologne collection. I loved wearing cologne ever since I can remember- Issey Miyake Men’s L’Eau d’Issey is my favorite. Many years ago I actually bought a bottle for myself and didn’t have the heart to tell him it wasn’t for him, when he found it in my room, put in on his dresser and said “thank you!” These days, I just steal it from him from time to time. 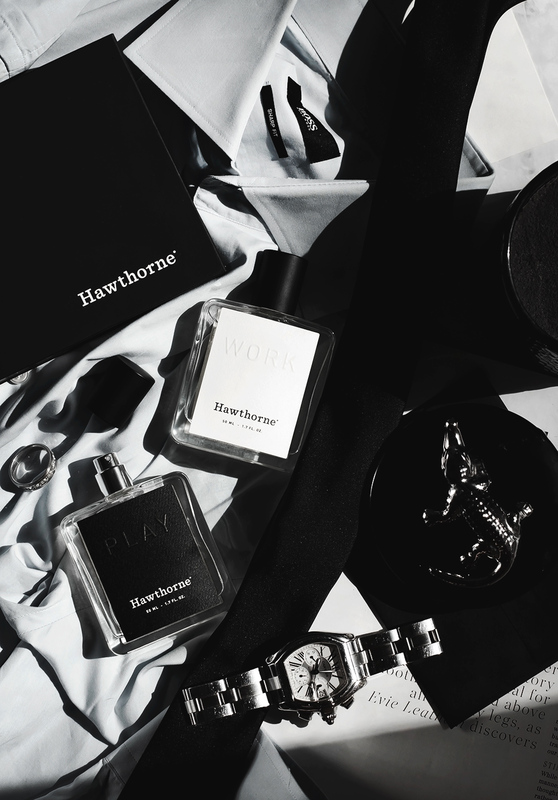 The same thing goes for the two customized fragrances from Hawthorne*- I love that they work different with my body chemistry than they do with his and smell different on both of us. So, how about you guys- is your partner into skincare as much as you are, or do you have to work just as hard as I do to convince them to use sunscreen? Who else loves wearing cologne?